In the novel Conversation with Friends, County Mayo-born author Sally Rooney portrays a slice of contemporary Dublin life among college students navigating 21st century art and commerce. These students are seekers, trying to find a way in the world that’s honest and authentic, while still covering their bills and financing their own bohemian lifestyles. It’s not such a stretch to think of it as a contemporary version of earlier novels like Edith Wharton’s House of Mirth, but thankfully with a less fatal end. Life is better today, but young people still face fateful questions of identity, love and getting by financially. The novel is told from the point of view of Frances, a spoken word artist, who performs around Dublin with her best friend and former lover Bobbi. Bobbi is outspoken, outgoing and charming, while Frances is observant, reserved and cool. One night after a performance, the two young women are approached by a freelance photographer, Melissa, who eventually proposes writing a profile of the duo. While spending time with Melissa, they meet her actor husband Nick. The flirtation leads an old-fashioned affair that propels the novel and naturally re-orders all of the relationships of the characters. Meanwhile, the different professional ambitions and financial requirements of each character come into play, illustrating that while these four may be equals in love, they are hardly economic equals. Frances’ challenges here are greater than the others; she tries to keep her working-class background in its own world and while meeting the financial requirements of a artistic lifestyle. 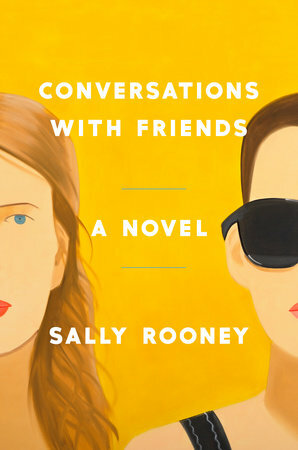 As its title suggests, Conversation with Friends is a wordy novel, driven by references to art, philosophy and academia. If that sounds pretentious, then this probably won’t be your cup of tea. But the novel is also driven by timeless human emotion, and some of the most touching passages are Frances’ desires to know and be known by Nick as she ponders the age-old question of whether she’s a worthwhile human being, “someone worthy of praise, worthy of love.” And it also has pointed things to say about the world economy and the arbitrary way it deals out wealth. First-time author Sally Rooney, 27, has a great touch for both the human heart, social commentary and fast-paced dialogue. A former debating champion at Trinity College, Rooney has gotten buzzy write-ups for the novel from both The Guardian and The New Yorker. That’s not surprising to me; I found the novel enormously appealing and finished it in essentially one sitting. While informed by its Dublin setting, Conversations with Friends feels like a novel that perfectly captures international youthfulness in 2017 whether it’s Dublin or Dallas, Portland or Paris. I’ll certainly be on the lookout for whatever Sally Rooney writes next. This entry was posted in Arts & Culture and tagged County Mayo, dublin, Sally Rooney on September 11, 2017 by admin.